Cathy from Silver Maple Equestrian sent me several emails and teased me with an idea about a "thank you" gift. To my surprise, SME Pashxa (Sunflower) finally arrived in my email box. 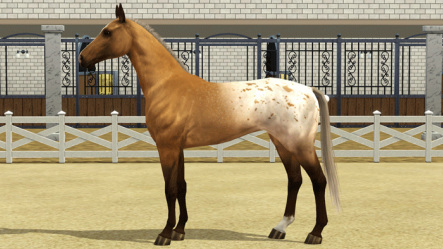 She is a gorgeous buckskin yearling filly. I love her coat, and she has that wonderful Akhal-Teke look to her. She has some awesome genetics and a wonderful pedigree. I am looking forward to working with her.